Jason Quigley's first pro fight outside the United States of America was his shortest in years. Donegal's Quigley made his UK debut on Saturday night and earned his fastest stoppage since 2016 when he dominated Finnish opponent Mathias Eklund at London’s Copper Box Arena. 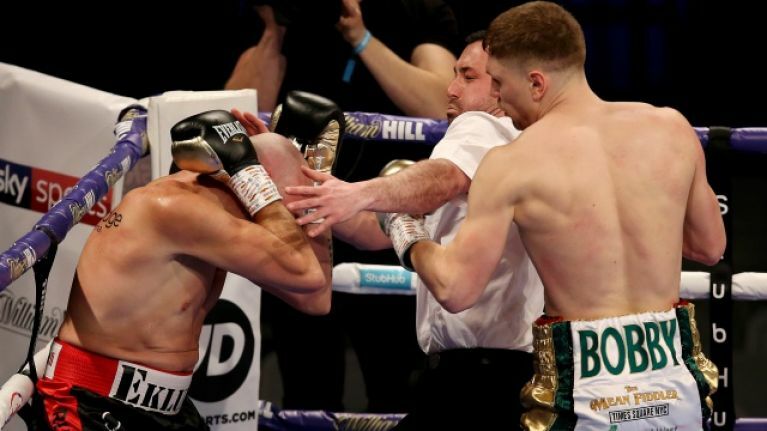 Quigley needed just two rounds to coast to 16-0 as a professional as he unbalanced and sent Eklund into desperation mode early on in the contest. The panic was clear in Eklund's movement as he looked to hold Quigley for dear life after a sharp left hook left its mark and it was then that the Ballybofey fighter poured the punishment on once he smelled blood in the water. The stoppage was an untidy one but the fight was only going in one direction and when the referee had finally seen enough, the only complaints from the Finn were of the half-hearted variety. Quigley is targeting a world title shot in the next two years and is currently ranked in the world’s top 10 by both the WBA and WBC. 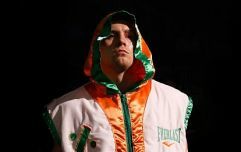 Having fought twice last year and just once in 2017, Quigley is now eager to make up for lost time as he enters his fighting prime with his 28th birthday approaching. "We’re looking to stay busy and keep climbing those world rankings," Quigley said in his post-fight interview. "All the big fights are happening with Matchroom and Golden Boy on DAZN and it definitely makes sense for me to be over on this side of the water more often."